There is at Casa Feliz certainly no mass tourism, it is pure Spain. If you want entertainment, discos, noise and / or many foreigners, than you should find another vacation accommodation! 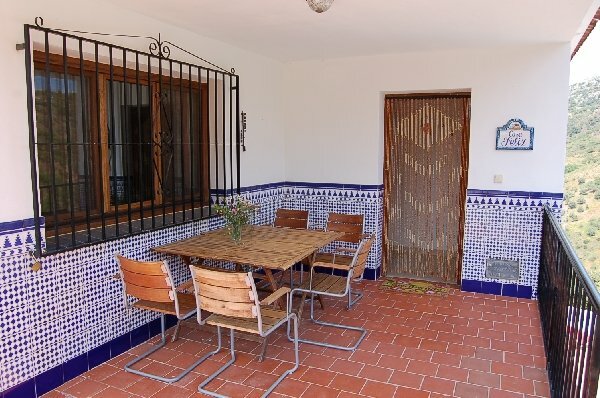 !Casa Feliz is a home with the finest details and decorated to Western European standards, also a beautiful pool, almost everyday good weather, beautiful surroundings, lots of peacefullness, real Spaniards (who almost always only speak Spanish) and the real Spain! Are you interested? Then you are most welcome !!!!!! 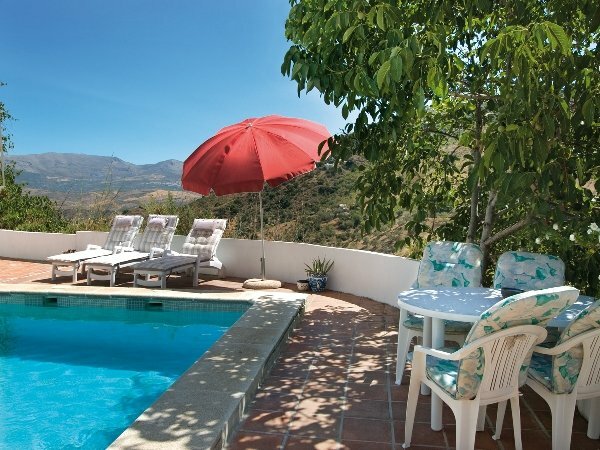 Casa Feliz is a beautifully situated villa in a quiet and peaceful area. 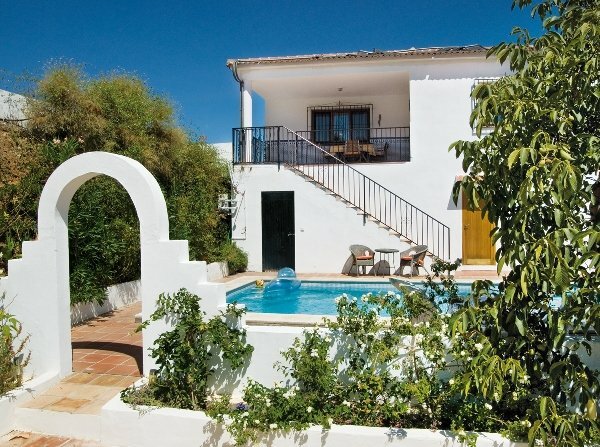 The fully equipped villa has a private swimmingpool and its unique (breathtaking !!) view. 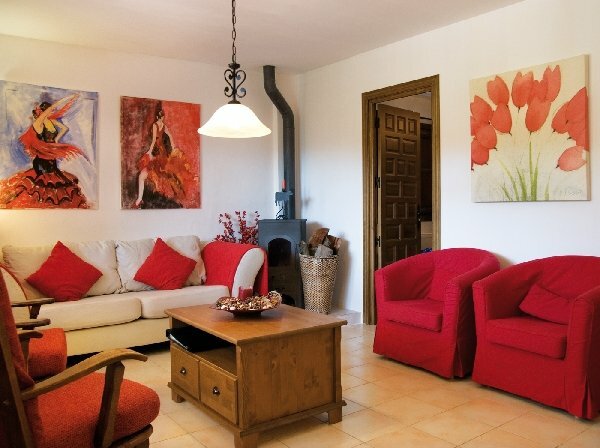 Casa Feliz has three bedrooms. 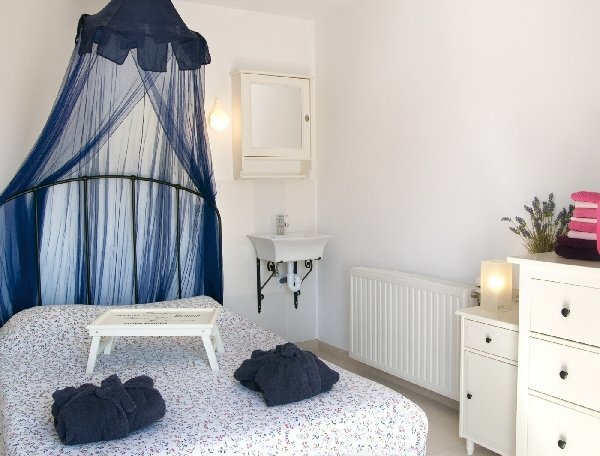 The master bedroom has a typical Andalucian cabinet and a double bed. When you wake up and open the balcony doors, it might be possible that you think you are in heaven! The second bedroom also has a double bed in Andalucian style. The third bedrooms consists of three single beds and has toys and books for children. 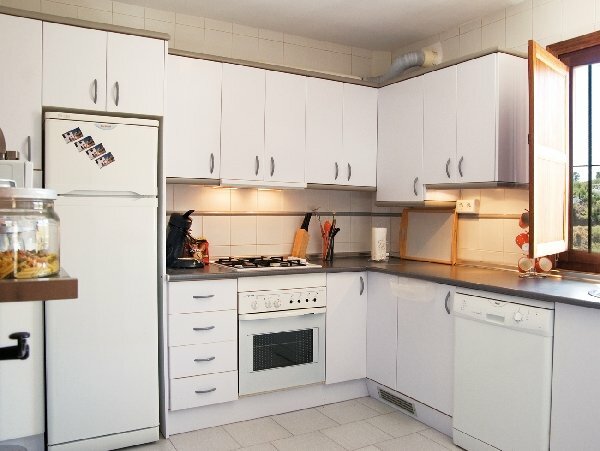 The bathroom consists of a bath tube and a kitchen offers you all the comfort you are used to (dishwasher, microwave, freezer, fridge, coffee machine, grill, hob, oven, blender, toaster). In the livingroom you can watch satellite tv and/or films on dvd, there are books and offcourse a couch and chairs. From the balcony at the side of the house, you can sit and enjoy the view on the hills. You can see and hear the farmers working in their olive trees. The house offers you also a sunproof patio. 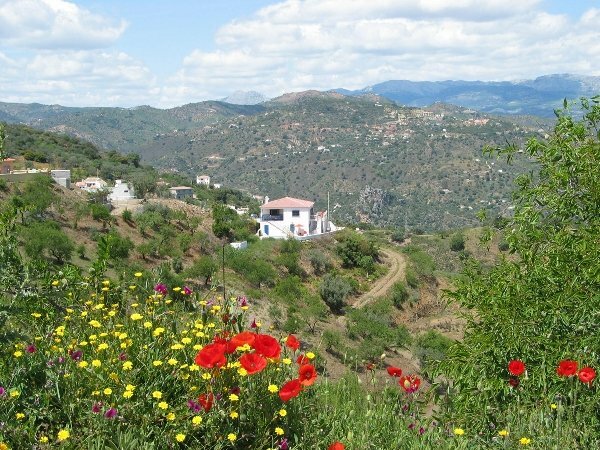 Comares is the nearest village, it is a real pueblo blanco, built on the top of a mountain. It is a village with very narrow streets and about 1,500 inhabitants, it is about 700 meter height. Comares has one supermarket where you can buy almost everything, 2 banks and several bars (including one even with a terrace) and there are a couple of restaurants, a hotel and a public swimming pool. Other larger towns nearby are Colmenar, Benarmagosa and Rio Gordo. The bigger towns nearby are Velez Malaga (35 km with a modern shopping centre), Malaga (45 km) and Antequera (70 km). The cities of Granada (130 km)with the famous Alhambra, Seville (210 km), Cordoba (160 km) and Jaén (230 km). The beautiful, rugged mountain forest Montes de Malaga (20 km) which has a natural variety (almost extinct) wild animals. The Sierra Nevada, mountains where the peaks 5 months a year are covered with snow. There are over 75 km of slopes and 22 lifts. The beach and the Mediterranean sea is about 20 km away. Worth a visit is the rocky landscape of El Torcal near Villanueva de la Concepción. This park has beautiful hiking routes. Also a bit further away there are interesting things to see: the caves of Nerja, Ronda and the lake Fuente de Piedra (thousands of flamingos in a salt water lake).